For comprehensive pest control service in Portland, trust in Family Home Pest Control. Bed Bugs have become a great problem in much of United States. 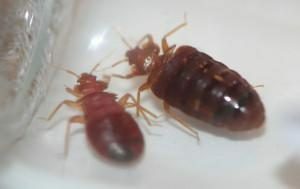 They often hitch rides when people visit hotels that have bed bug problems and have not gotten proper bed bug removal. Bed Bugs are bugs that require a blood meal to survive. Since they can survive months without feeding, they can travel great distances. They are considered a parasitic insect. They are nocturnal in nature, meaning that they feed at nighttime and hide during the day. They are attracted to the carbon dioxide that is given off by the human body. Sometimes when they bite, they bite numerous times in a straight line or circle. These bites cause itching which is due to a secretion left in the body by the bug. Treatment for Bed Bugs usually requires an insecticide application in the area where people sleep at night. With professional bed bug removal, you won’t have to live with bed bugs for much longer. Treatment for Bed Bugs is a little bit more expensive than other types of treatments. Preparation requires laundering of the sheets and removing all small items from the area to be treated. The applicator will treat all around the area where humans usually sleep. This would include the bed frame as well as nightstands and furniture near the bed. Usually, we would treat the whole bedroom area baseboards and many cracks and crevices as well. Our company has a special combination of materials that we use that we have found to be extremely effective. 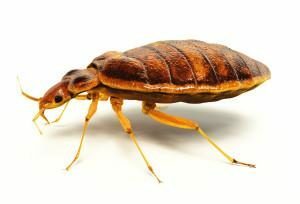 However, due to the fact that Bed Bugs molt and continue to grow over a short period of time, three treatments is usually required about 10 days apart from each other. Bed bug removal can be incredibly effective, and the sooner we get to work, the better. For professional bed bug removal in Portland, Call (503) 452-9965 or contact us today.